Promotional products are an excellent choice for businesses to promote their product. Promotional products are not costly and very versatile. They are powerful sales and marketing tools and exceptional for new and established businesses alike. Promotional products serve many purposes for your business needs. They are targeted so that you reach the intended audience and they are customizable so that your target audience buys into the product. Promotional products last, as they are reusable and serviceable, and of course versatile. They work really well to build brand awareness, as they are memorable and people really love receiving them. Products can include things like apparel, writing instruments, drinkware, awards, trophies, food/beverages, automotive accessories, electronics, luggage and bags. All these products can be custom made to serve the needs of your business and broadcast a powerful message to consumers. 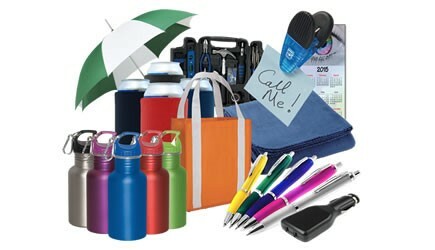 Research suggests that using promotional products is an excellent marketing strategy for businesses. It is also a creative way to attract attention and to publicize to customers. Promotional products are an inexpensive campaign to reach out to potential customers; it’s an easy way to get your name out there in the form of a handy product that reminds the customers of your business each time they use it. Promotional products across Canada serve the needs of both small and big businesses. Diamond Recognition offers hundreds of the most respected promotional brands so that you can advertise your logo and build your brand at the same time.